Meet us at EAS in Amsterdam! Are you going to Euro Attractions Show (EAS)? We would love to see you in Amsterdam! Live our brand-new Assassin’s Creed VR experience right on the show floor! “Assassin’s Creed: The Temple of Anubis” is now available! 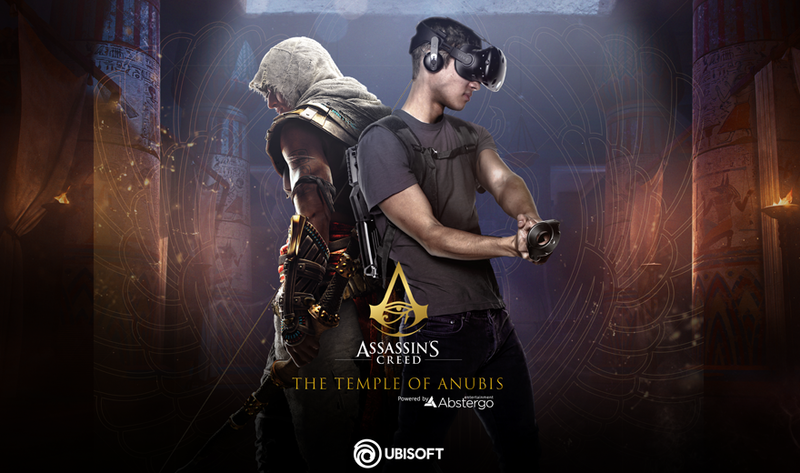 Developed in partnership with Ubisoft, the new adventure will be an unprecedented free-roaming virtual reality experience available exclusively on Triotech’s VR Maze! Set in Ancient Egypt as reimagined in Assassin’s Creed Origins, players embody the hero, Bayek, as they explore a mysterious temple. Discover this new VR adventure! Check out this video! Group play, individual scoring and renewable content drive recurring traffic. As a result, the XD Dark Ride generates a strong ROI.